(From Canon lens literature) Compact, wide-angle lens which enables tilt and shift movements. The floating optical system, with an Aspherical lens element, corrects distortion and other aberrations. High image quality and compactness are the result. Great for architecture, landscapes and other wide-angle shots. 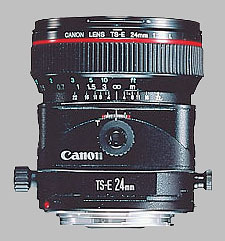 The Canon TS-E 24mm f/3.5L doesn't have any user reviews yet!